Suzlon is well placed to assist its clients in overall wind power project delivery through an end-to-end, turnkey project service suite or selective service offering based on the client and the project requirement. Suzlon's project services range from complex front-end engineering design to construction; from installation to commissioning. Our rich expertise in successful installations of over 18,000 MW across 18 countries, Suzlon covers an entire gamut of customer requirements across the value chain. Moreover, its global expertise in project execution assures the customer of best-in-class wind parks delivering high reliability and consistent energy generation. Suzlon provides assistance in identification of windy sites, wind park layout designing, model suitability and selection – the science of assessing wind patterns to determine their optimally best positions and model. 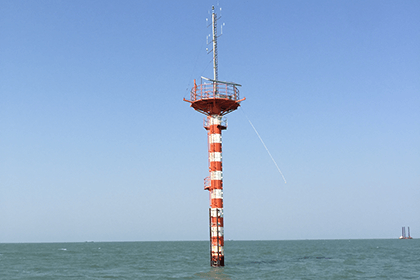 The Balance of Plant (BoP) is the cost of erection and maintenance of all infrastructural facilities of a wind farm with the exception of the turbine and all its elements. 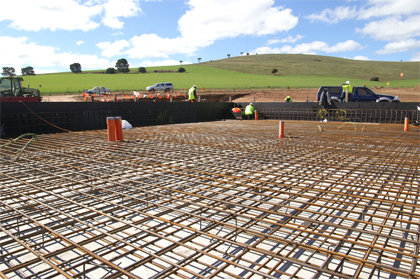 These facilities include crane pads, approach roads, civil and electrical elements for the substations, and many other things. The specifications of these facilities are dependent on the climatic and geographical conditions of the site. 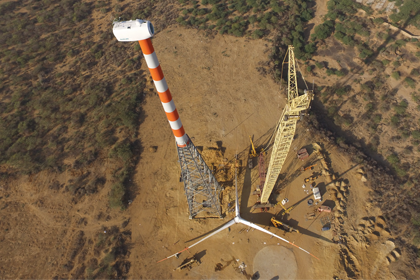 Suzlon, therefore, customises its solutions and facilities of BoP for each site to ensure that the wind farm continues to perform at the highest level of reliability during the entire project lifecycle. Suzlon also endeavours to keep the BoP costs at an optimal level while maintaining the highest level of technical specifications. 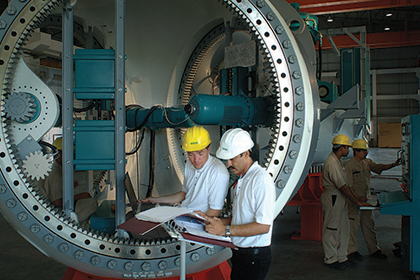 For ensuring the BoP at optimal levels, Suzlon uses an advanced BoP cost tool. Using this tool, an estimate can be generated of the BoP cost of the wind farm. This estimate is then studied and analysed to keep the BoP cost within reasonable levels. The Balance of Plant (BoP) is the cost of erection and maintenance of all infrastructural facilities of a wind farm with the exception of the turbine and all its elements. These facilities include crane pads, approach roads, civil and electrical elements for the substations, and many other things. The specifications of these facilities are dependent on the climatic and geographical conditions of the site. 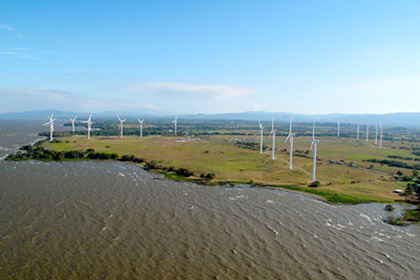 Suzlon, therefore, customises its solutions and facilities of BoP for each site to ensure that the wind farm continues to perform at the highest level of reliability during the entire project lifecycle.Suzlon also endeavours to keep the BoP costs at an optimal level while maintaining the highest level of technical specifications. For ensuring the BoP at optimal levels, Suzlon uses an advanced BoP cost tool. 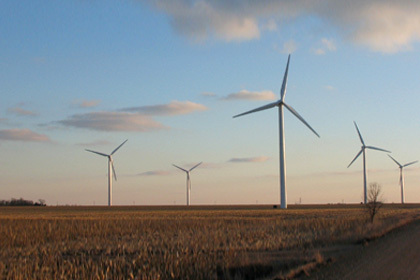 Using this tool, an estimate can be generated of the BoP cost of the wind farm. This estimate is then studied and analysed to keep the BoP cost within reasonable levels. 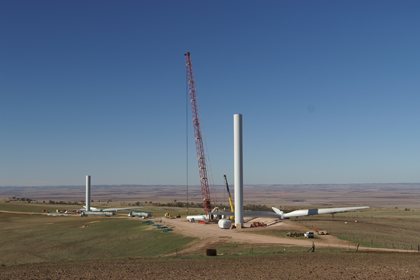 Suzlon has extensive experience in erecting and commissioning wind turbine projects. These installations are being carried out under extreme climatic conditions and difficult terrains. Suzlon ensures that quality and safety measures are implemented with zero-tolerance during the erection of a wind turbine. 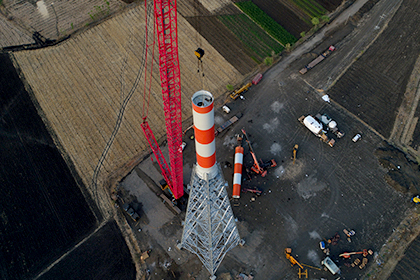 Critical inspections are undertaken at every stage to ensure compliance with the different location-oriented requirements of setting up a wind project.